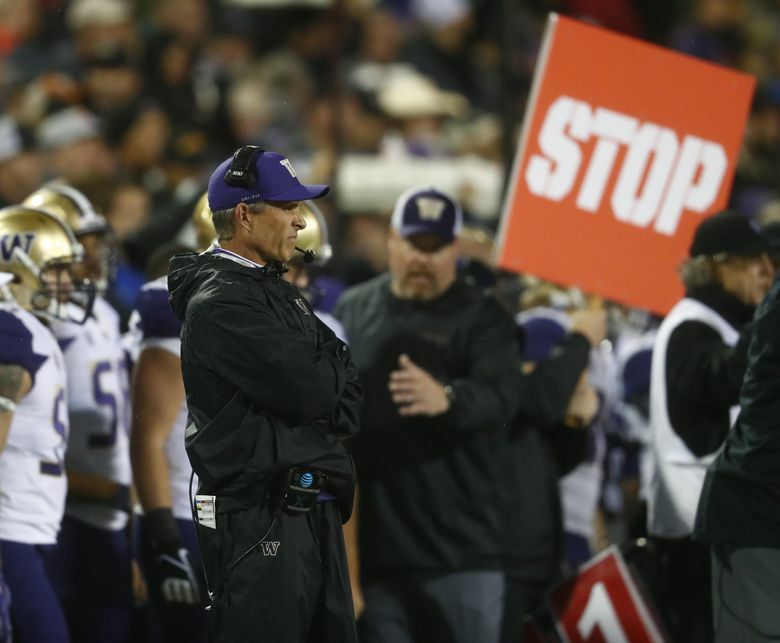 The Huskies' schedule accounts for 30-percent of the Pac-12's bye-week scenarios. Here's a look at how that happened, and why it should be avoided in the future. Part I is here, in case you hadn’t read it yourself or been briefed by an outraged friend. Few columns in Hotline history — either the original College Hotline or the revised Pac-12 Hotline — have generated as much furor as last week’s suggestion that the Pac-12 should delicately manipulate the schedule to avoid placing its best teams in egregious situations. The example cited was USC’s road game in Pullman on Friday Sept. 29, which followed a road game at Cal and capped a rugged September for the Trojans, who, unlike most teams, did not play a creampuff. If you thought that was it for the topic of schedule manipulation … or if you loved casting me as a USC homer … my apologies for what you’re about to read. We’re taking the plunge once again, albeit with the conference’s other division favorite and leading preseason playoff candidate: No. 5 Washington. The Huskies played Saturday and are on the road against a team coming off a bye (Arizona State). That’s always a disadvantage: Team X just played; Team Y has been waiting two weeks. Coaches don’t complain publicly when put in that position, because they don’t want players to hear excuses. But nobody likes it, especially in October and November, when injuries pile up. The situation is unavoidable, however. The Pac-12 master schedule has enough complications and caveats that, inevitably, a few teams are handed the competitive disadvantage of playing a conference game against a team coming off a bye (when they don’t have one themselves, of course). Here’s the issue as it pertains to Washington: The Huskies aren’t facing the opponent-bye scenario once this season. They aren’t even facing it twice. They’ve got it three times — one third of their conference games. They played Oregon State when the Beavers were coming off a bye. They play ASU this week with the Sun Devils off a bye. They play the Apple Cup, which could be for the division title, with Washington State coming off a bye. We’re not talking about the opponent playing on a Thursday or Friday and having eight/nine days to prep. We’re talking about full byes, with 14 days to get ready for UW. Yes, it happens, but not like this: The Huskies singlehandedly account for 30 percent of the opponent-bye scenarios in the Pac-12 this season. There are 10 total instances, and they have three of them. Stanford and Arizona have two each, while Colorado, Utah and UCLA each get it once. That doesn’t make much sense. Why would the conference overload one of its potential playoff contenders with a competitive disadvantage? As noted in the USC column last week, I’m not suggesting the Pac-12 actively create easier schedules for the teams projected to contend for the title. But subtle tweaking to avoid egregious situations for contenders seems like smart business when the end game is the College Football Playoff and Pac-12 teams are already at a disadvantage on so many fronts with the schedule. (As some UW fans undoubtedly are aware, USC also would have two weeks to prepare for the Pac-12 title game, making that the fourth instance of the opponent-bye disadvantage for UW this season. There is one more point to consider: The Huskies have a competitive disadvantage with the opponent-bye scenario relative to other playoff contenders. I examined the schedules for the AP preseason top 10 to determine how many times those teams were asked to play conference games against opponents coming off byes. For the collective top 10, the opponent-bye scenario will happen seven times, and Washington accounts for three of the seven. Yep, a disproportionate 43 percent of the instances are heaped on one team: The Huskies. Maybe that’s purely a coincidence. or maybe other conferences are aware of the competitive disadvantage that comes with playing a team coming off a bye and avoid overloading their best teams with that issue. SEC contenders don’t play Friday night road games following Saturday road games. Nor do Big Ten contenders. SEC contenders don’t have multiple instances of the opponent-bye scenario. Nor do Big Ten contenders. Can you imagine the Big Ten giving either Michigan or Ohio State a bye, but not the other, before their game? The Pac-12 shouldn’t engage in that practice, either. I’m not suggesting the conference create softer-than-average schedules for its best teams. But why make it tougher-than-average? There’s too much prestige and money at stake. We’re not done with this topic, by the way. Not at all. Check back in coming weeks.